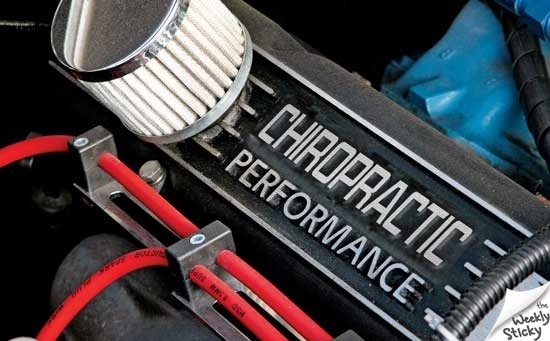 Spark and Alignment | Doppsonline.com Dopps Chiropractic: Our family bringing health to your family for over 40 years! In an effort to squeeze every bit of performance out of a car, you can try using higher octane gas, putting on expensive tires and or replacing your brake pads, but if that car’s alignment and ‘spark’ are compromised, it’ll never perform to the manufacturer’s intended specs… likewise with your body. Organic food, cross fitness exercising and Pilates training are nice additives to squeeze more performance out of your body, but you’ll never hit your potential if your spinal alignment and nerve system ‘spark’ are compromised (subluxated). To get the most out of those extra-health activities, you should be subluxation free.